“First Wave” is a richly emotive composition that is able to provide listeners with a compelling narrative without possessing any traditional form of vocal accompaniment. The bold strokes that are taken on the onset of Waves of Life ensure that listeners are on the edges of their seats from the onset. The six-minute run time of this initial composition provides Ashaneen with ample space to express the different twists and turns that will await listeners through the eleven cuts on the title. “Third Wave” straddles the line between electronic and organic in a way few artists can achieve. There is something that listeners can identify as existing in everyday life (industrial area noises such as metal on metal, vibrations) but something wholly separate from what one may find in real life. It is this duality that keeps listeners attentive and eagerly anticipating what will be presented to them in subsequent compositions. “Fifth Wave” and “Sixth Wave” are a delightful one-two punch that highlight each other because of their considerable differences. 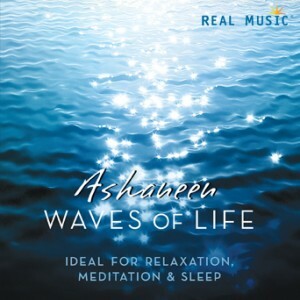 While Ashaneen’s hand is steady in establishing a cogent statement for this duo (as well as the whole of tracks on Waves of Life), the gulf between the overall sound and spirit of the compositions cannot be stressed enough. Waves of Life concludes with “A New Beginning”, an effort that does not only establish the possible paths for Ashaneen in follow-up releases, but ties up the different styles and approaches taken by the artist in a neat and orderly bow. Ashaneen’s latest speaks broadly to the human experience in a new and exciting fashion. Waves of Life will be available from a wide variety of online and physical retailers beginning on August 7th.